Ohio Blow Pipe Company are recognized industry leaders in the engineering, manufacturing, and installation of under-roof conveying, trim/scrap removal systems, cyclone based systems, dust collection and oil mist systems to a variety of industries. With 80 years of experience they are known for their high quality, value, reliability, and innovative thinking towards their products and services. EquipNet is continuously receiving used Ohio Blow Pipe co. equipment through our exclusive contracts with our clients. 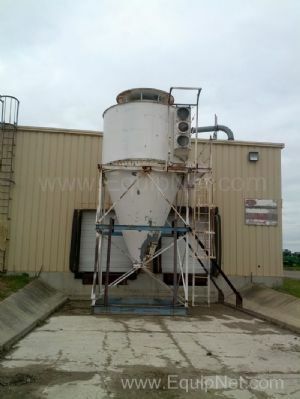 Our inventory includes but is not limited to Ohio Blow Pipe 19000CFM Dust Collector. If you do not see the equipment you are looking for, contact one of our representatives and we will find it for you. We can also source the right tooling and change parts that you need through our huge network of corporate clients from around the globe.